Google said that "before you can show ads on a new site, you now have to add the site to your AdSense account." Google will then take that site "through a verification process which checks that you own the domain or have the ability to modify its content." During this verification process, Google will also review the site for compliance with the AdSense Program policies. If all is good and all the "checks are completed", your site will be marked as "Ready" and you can start showing ads. 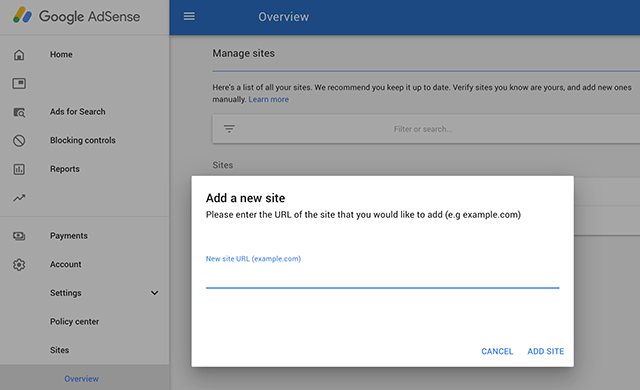 You can verify sites by going to your AdSense account, click sites under settings, click Add site and then enter the URL of your site.